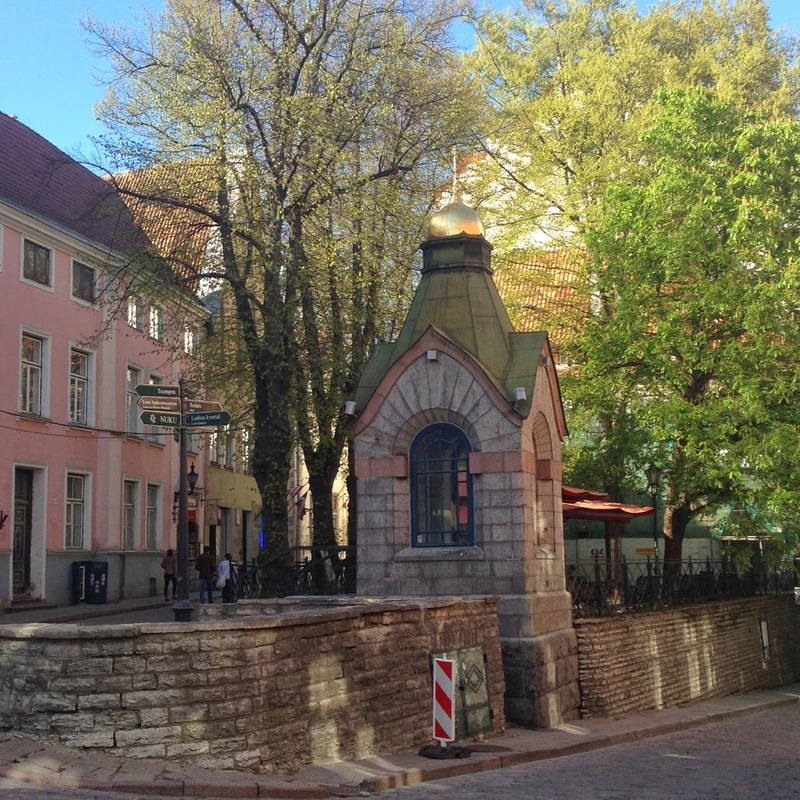 So, ah, back in the middle of May, before I cruelly abandoned my blog for WORK, the outrage, I had the happy opportunity to visit the beautiful city of Tallinn, capital of Estonia. 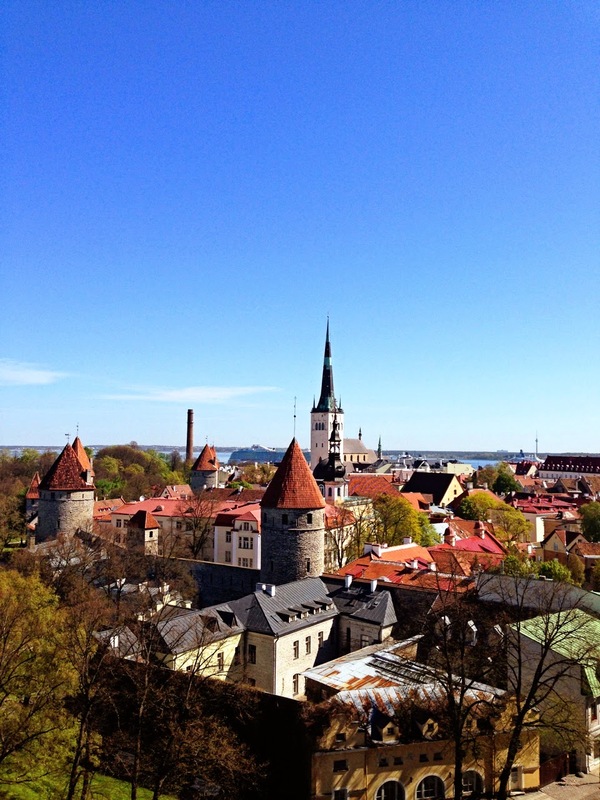 I was in Estonia (third new country of 2014, hurrah!) to attend the European Museum of the Year Award, which is inspiring and great and you should go if you have any interest in museums. 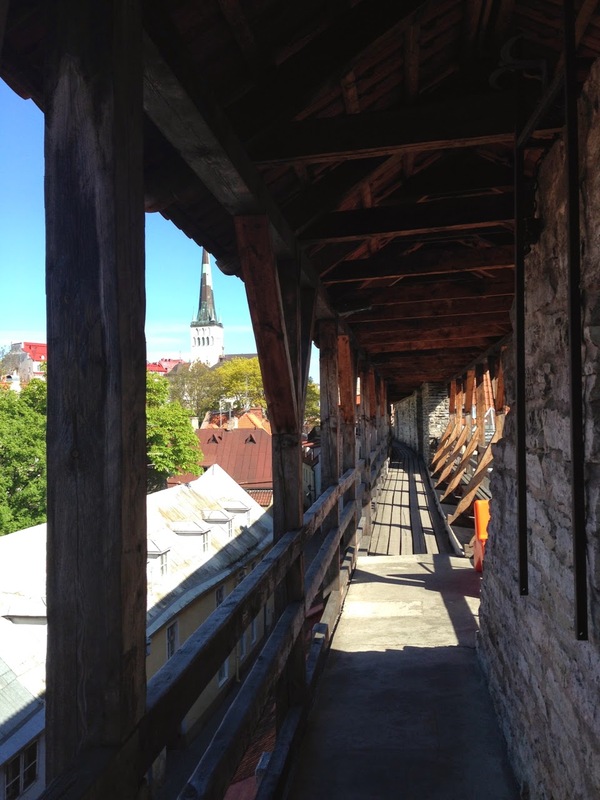 If you have any interest in beautiful old cities, you should visit Tallinn. May is a wonderful time to be there because of the light: it doesn't get dark till late and everything has a special gilded quality. 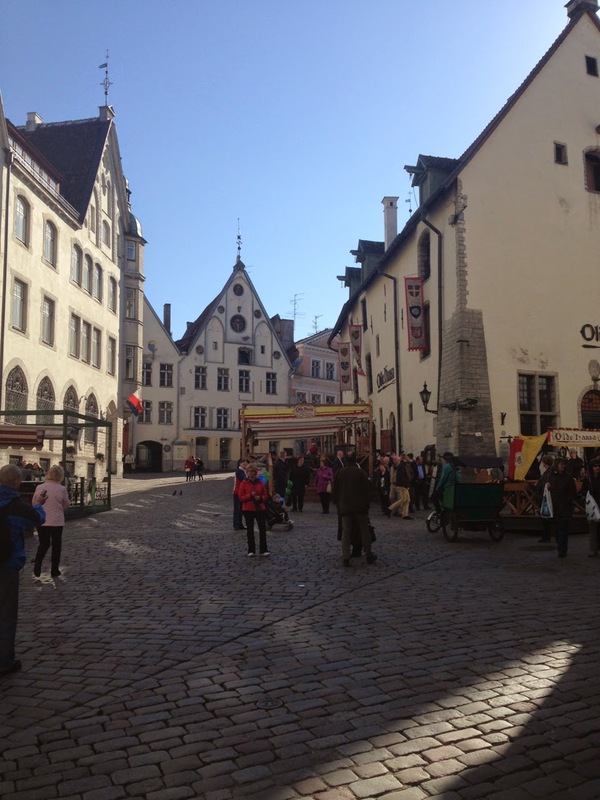 Tallinn is a former Hanseatic city and its medieval Old Town is a World Heritage Site. It's really a miracle of history that the old buildings survived the various invasions and occupations of the city (which included a change of name: the city was known as Reval for a chunk of its history). As you walk through the walled centre, you'll see cobbled streets and houses with pointed gable roofs. 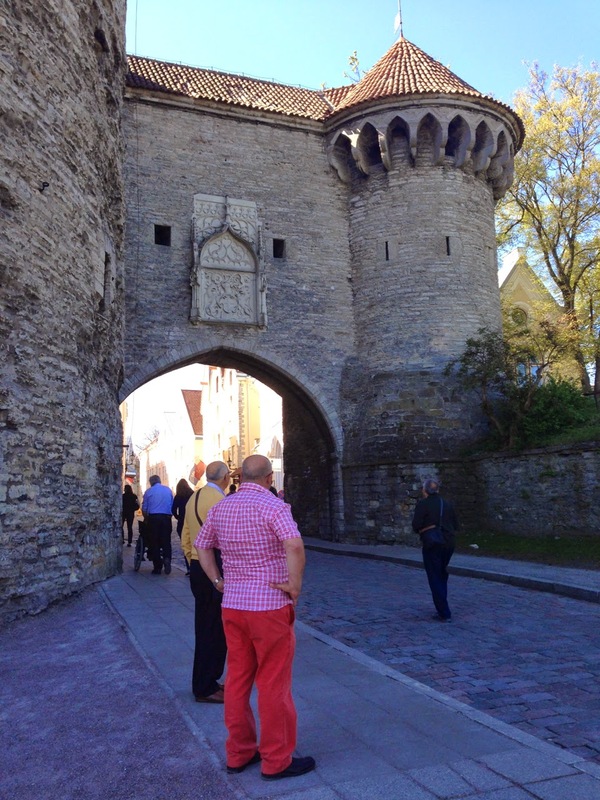 There are many references to Tallinn's medieval heritage, including guilds. 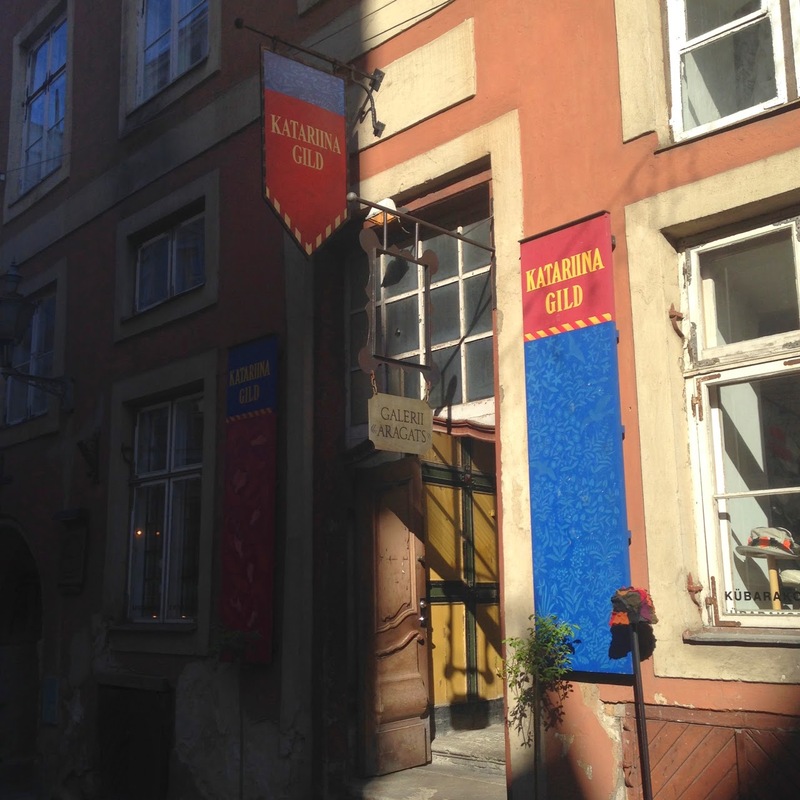 Behind this facade, a passageway led to Katariina Kaik, or St Catherine's Passage, which houses the Guild of St Katariina - a collective of craftspeople. 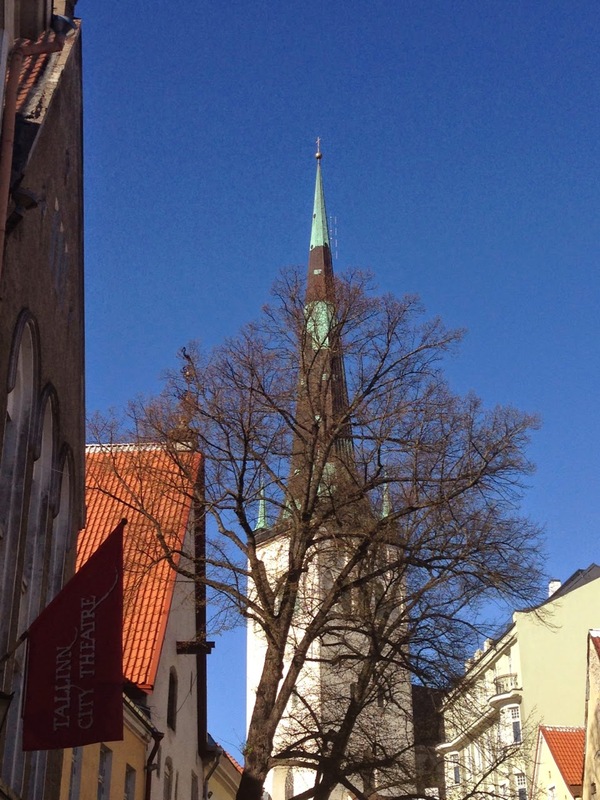 while this is the spire of the Lutheran St Olaf's Church. Taking a turn, completely by whim, down Muurivahe, I discovered a door in one of the towers that led up to the ramparts. (You had to pay a nominal amount - maybe €3 to enter). Up at the top, I discovered my favourite spot in the city, and spent a happy hour there on a Sunday morning, basking in the sun, listening to the bells of the Old Town.